Elizabeth Chase "Lizzie" Olsen (born February 16, 1989) is an American actress. She is known for her roles in the films Silent House (2011), Liberal Arts (2012), Godzilla (2014), Avengers: Age of Ultron (2015), and Captain America: Civil War (2016). For her role in the critically-acclaimed Martha Marcy May Marlene (2011), she was nominated for numerous awards, including the Independent Spirit Award for Best Female Lead. She is the younger sister of actresses and fashion designers Mary-Kate Olsen and Ashley Olsen. Olsen was born in Sherman Oaks, California to Jarnette "Jarnie", a personal manager, and David "Dave" Olsen, a real estate developer and mortgage banker. She is the younger sister of twins Mary-Kate Olsen and Ashley Olsen, who became famous as TV and movie stars at an early age. Her oldest brother is named Trent Olsen, and she has two younger half-siblings. In 1996, Olsen's parents divorced. The Olsens have Norwegian and English ancestry. As a child, Olsen received ballet and singing lessons. She began acting at age 4, and by 11 she'd had small roles in How the West Was Fun and the straight-to-video series The Adventures of Mary-Kate & Ashley. 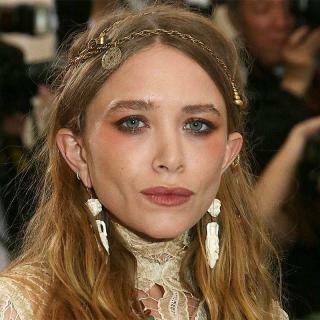 Having appeared in her sisters' videos, when she was in the fourth grade, Olsen began to go on auditions for other projects, auditioning for the film Spy Kids. She almost quit acting in 2004 over the media frenzy surrounding Mary-Kate's eating disorder. She attended Campbell Hall School in North Hollywood, California from kindergarten through grade 12. After graduation, she enrolled at New York University's Tisch School of the Arts. In 2009, Olsen spent a semester studying in Moscow, Russia at the Moscow Art Theatre School through the MATS program at the Eugene O'Neill Theater Center. Olsen's breakout role came in 2011, when she appeared in the film Martha Marcy May Marlene. The film, along with Olsen's performance, received critical acclaim. Olsen was nominated for and won numerous critics awards for her portrayal of the titular character Martha, a girl suffering from delusions and paranoia after fleeing her life in a cult and returning to her family. She next appeared in the horror film remake Silent House, in which she played the role of Sarah. The film received mixed reviews, although Olsen's performance was once again praised. Olsen also appeared in the music video "The Queen" by Carlotta. Olsen filmed the movie Red Lights during mid-2011, and it was released in the U.S. on July 13, 2012. She starred in Josh Radnor's film Liberal Arts, which was released on January 22, 2012. She and Dakota Fanning starred in Very Good Girls, a 2013 release. In January 2013, Olsen was nominated for the BAFTA Rising Star Award. 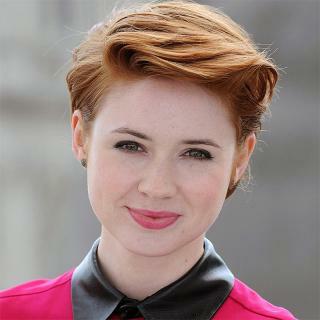 She co-starred in the 2013 American remake of the 2003 South Korean film Oldboy; she played Marie, a young social worker who developed a relationship with the protagonist, played by Josh Brolin. She played Edie Parker, Jack Kerouac's first wife and the author of the Beat Generation memoir You'll Be Okay, in Kill Your Darlings. In 2014, Olsen starred in Legendary's Godzilla a reboot, opposite Bryan Cranston and Aaron Taylor-Johnson. Olsen joined the Marvel Cinematic Universe by playing the Scarlet Witch in Avengers: Age of Ultron, the 2015 Avengers sequel. She first appeared as the character in a mid-credits scene of the film Captain America: The Winter Soldier, again alongside her Godzilla co-star Taylor-Johnson, who portrayed her brother Quicksilver. She reprised this role as the Scarlet Witch in the 2015 film Avengers: Age of Ultron and the 2016 film Captain America: Civil War. In September 2014, it was announced that Olsen would portray Audrey Williams, Hank Williams' wife, manager, and duet partner in the upcoming 2015 biopic I Saw the Light directed by Marc Abraham and starring Tom Hiddleston as Hank Williams. In January 2016, it was announced that Olsen would team up with her Avengers: Age of Ultron co-star Jeremy Renner in Taylor Sheridan's directorial feature film debut, Wind River. Olsen attended New York University's Tisch School of the Arts and the Atlantic Theater Company and graduated in March 2013 after six years of intermittent study. Her sisters' clothing line "Elizabeth and James" was named after her and her older brother. Olsen started dating fellow actor Boyd Holbrook in September 2012 after meeting him on the film Very Good Girls. They became engaged in March 2014 but called it off in January 2015.